If you are not a Muslim and you are reading this, you are either a) curious to see what this is about, b) an obstinate person who deliberately opposes instructions, or c) somebody who accidentally came across this. Either way, I warn you to read no further. Okay, now that I know just Muslims are reading this, I can start to be open and expose the truth about this religion. Life is short, and before we know it, our soul will be extracted from our body to return to its Lord. What we do in this transient sojourn will determine our ultimate fate. Knowing this, we all seem to be in a somnambulant state – we are sleeping. Islam is a religion about waking up, to wake up to the opportunity of life. As we know, every baby is born with the fitrah, the natural disposition towards a belief in God. Humanity is in a state of heedlessness, totally oblivious to their innate dispositions. We are not allowed to realise our purpose because we are fed with junk, quite literally, but our minds are also fed with constant mindless entertainment so that we remain in a state of sleep. So what do we do? We must first wake up and realise Islam is the haqq, truth/reality. Before telling people about Islam, it is important to clarify to people the misconceptions expounded by those who hate Muslims. For example, Islam is the antithesis of a misogynistic religion, and that is why more women revert to the religion than men. 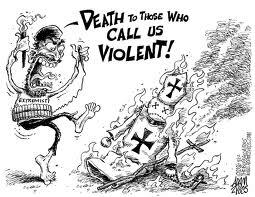 We need to subvert the myth that Islam is a radical or extreme religion, and elucidate that any terrorist – who in the name of Islam commits a terrible crime – has not done so because of the religion, but because of their own foolishness. That the verses in the Quran and Hadith (teachings of the Prophet Muhammad peace be upon him) need to be contextualised and explained to us by exegetes. And that Shariah Law is actually profoundly nuanced and is not as absolute as many think. Once the misconceptions have been removed, the discourse can move on to the purpose of life. That we have not been created in this marvellous universe without a purpose. What is our purpose? The answer is simple. It is to fulfil our innate purpose which is to worship the Creator. Worshiping, however, does not merely mean bowing down in submission, but encapsulates a whole way of life: every good deed one does with a good intention is a form of worship. Now that we come to understand our purpose, we should know the proof of the existence of God. Providing there is overwhelming evidence in the religion of Islam about the existence of God, we can say that there is indeed proof God exists. The evidence can be categorised into two: the Quran and the life of Muhammad pbuh. So what is the evidence? The Quran being the Final Testament, which was revealed after the books given to Moses and Jesus, is, without doubt, a linguistic miracle. It was revealed at a time when the Arabs loved literature and prided themselves as being highly eloquent people. The Quran superseded everything they could do. 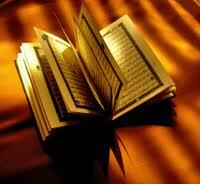 Not only was it written in the most beautiful form, but unlike other books, it is free from any contradictions. Anybody who thinks otherwise has either not contextualised the verse or is misinformed. Furthermore, the challenge in the Quran to the whole of humanity to produce a book similar to it has never been matched. The subsidiary miracles, which also appeal to the intellect, are the scientific miracles like the description of the human foetus in the womb (before the invention of the microscope) and many more, like the legislative miracle: there are no discrepancies between the legislation in the Quran and Hadith. The life of Muhammad, peace be upon him, is also an evident miracle. From young, he was known as a truthful and sincere human being- this trait never left him. He was offered everything to give up his mission, but he never succumbed. If one looks at what the likes of Michael Hart, Gandhi, George Bernard Shaw and even the encyclopaedia Britannica says about this extraordinary man, it becomes clear that he was indeed a messenger from God. Of course, many will still deny the veracity of our religion, but a Muslim’s role is not to convert anyone, but just to convey the message. If one accepts it or not, is down to their own volition. When people ask about ISIS and why are they doing this for Islam, the answer should be WHO CARES what some nut jobs thinks and does out there. Ask me about Prophet Muhammad (pbuh) and what he said and did. That’s where the truth of the religion is. Everything everyone else does is really irrelevant. That should be the point of the debate. Jazak’Allah Khair! I was looking evyrwehere and this popped up like nothing! What exactly were you looking for?